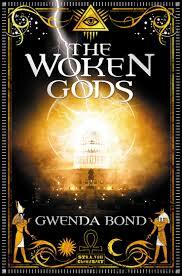 About a year ago, my friend Gwenda Bond came to DC to do some research for a book she was writing. Something about gods and Washington, DC. (She, her husband and I got drunk that night after dinner, so I have a fuzzy memory). Anyway, the book she was researching came out this week. I wish the book (and its author) much success.